The Government Affairs Council will discuss the first draft of the AMCHAM White Paper on Thailand 4.0 and is seeking input from Committee Leaders. The updated Paper is to be presented to the new Thai government, tentatively scheduled to assume office by June 2019. 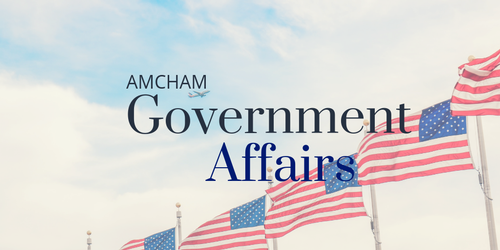 The purpose of this Paper is to outline an array of issues and suggest “quick wins” that the new government and AMCHAM can collaborate on in the year ahead. Our expectation is that the document serves as a basis of discussion during courtesy calls with new (or returning) Ministers and senior civil servants. On this occasion we are aiming to limit the document to 5 pages. Unfortunately, we may not be able to incorporate all member-specific issues into the Paper, but our intention is to raise additional member input during face-to-face engagements. We have already written to the relevant committees above to request their feedback. For this meeting we would like to invite all committee leaders and government affairs representatives to our office for a discussion on the issues at hand.